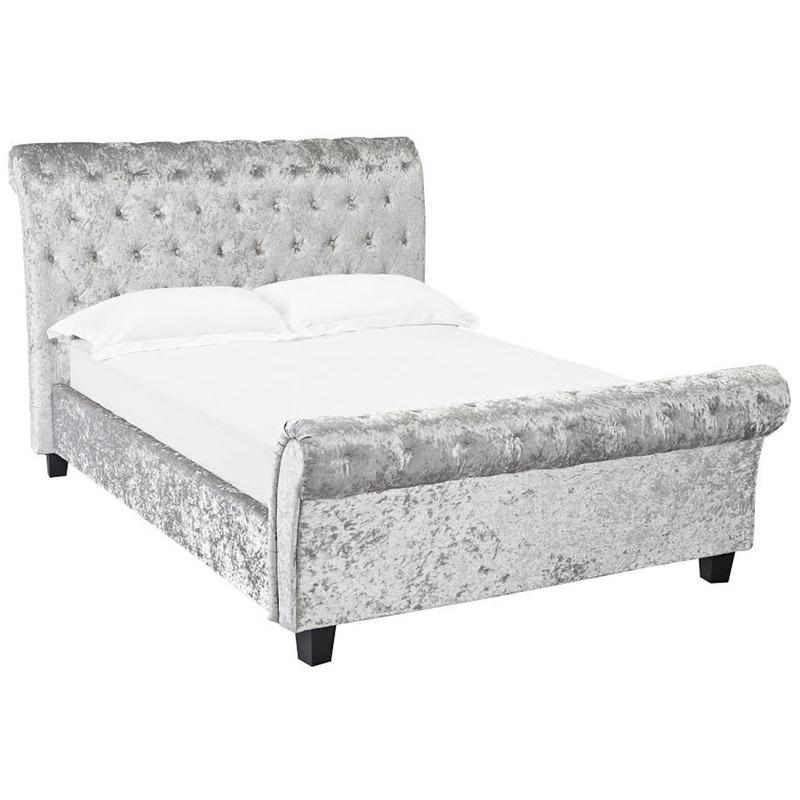 If you are looking for a truly luxurious bed and wanting to inject some glamour into your bedroom, the Isabella antique French style crushed velvet bed is the ultimate piece for your bedroom. Offering the current fabric of choice, the Isabella is upholstered in a sumptuous silver crushed velvet. The current sizes on offer are double and kingsize, perfect for a variety of bedroom interior settings.